Did you know that great deals are to be had daily at The Sticky Wicket, Damansara Heights? Exclusive deals like our house Gin n Tonic at a measly RM9.80++. Our Happy Hour prices are the gift that keeps on giving from noon until 7.00pm, right when you are ready to tuck into some delicious pub grub - and guess what, you're already at the right place! Ring us for reservations now. Mondays Mean Mojitos at RM18++. You know you can't wait for the week to start again! Wednesdays Winged Wonders at RM10++. Dig into our divine chicken wings for only RM10++. 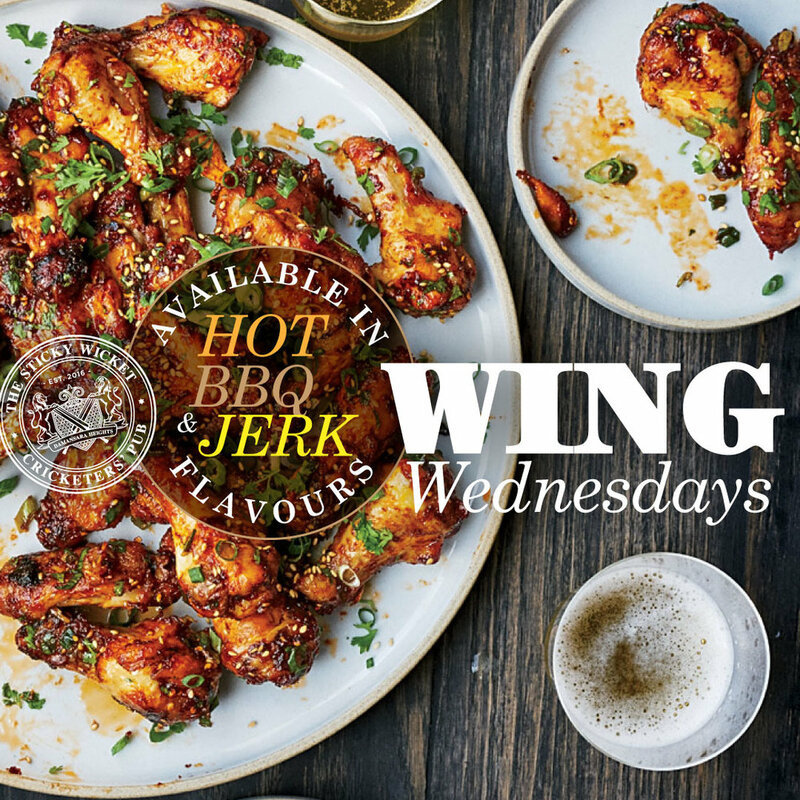 Available in HOT, BBQ and JERK flavours for your satisfaction. Grab them with a beer (or 6) today! The Sticky Wicket is your home away from home for cricket, the Premier League, AFL as well as UFC matches. From Monday to Saturday, enjoy delectable finger foods at low prices to go with your beer or cocktails from 4.00pm until 8.00pm. Sunday is All Day Happy Hour! Come on home to The Sticky Wicket today.